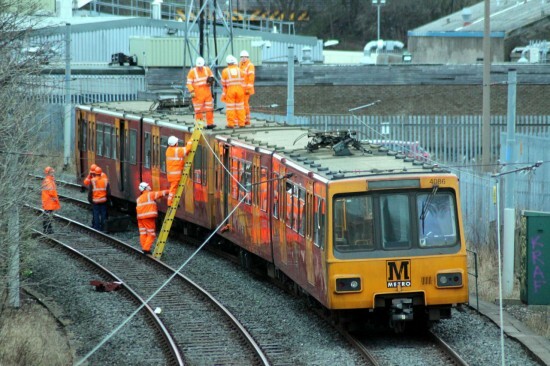 This incident happened on 8th January 2013 and is between South Gosforth and Long Benton. Although 4086 is the leading unit it appears that it is the other of the trains which is in trouble with the engineers standing on top of that unit checking it over. Whatever the issue was it was serious enough to de-train all passengers and they were then walked back along the track to the station at South Gosforth.